Dr. John Barkat, Assistant Secretary-General and UN Ombudsman, will speak about the increasingly complex challenges facing our world. By adapting our practice to the needs of leaders and changing realities, he suggests that mediators can find new opportunities to show the value of our work. Drawing on experiences at the United Nations and beyond, he will share examples of how consensus-building approaches have transformed individuals and institutions to build sustainable and peaceful futures. Dr. Barkat serves as Assistant-General heading the United Nations Ombudsman and Mediation Services. He serves as an independent senior advisor, reporting directly to the Secretary General and oversees offices in New York, Geneva, Vienna, Nairobi, Bangkok, Santiago, Entebbe and Goma. With over 20 years of experience in mediation and conflict resolution, Mr. Barkat is an internationally recognized expert in the field of dispute resolution and preventive diplomacy. 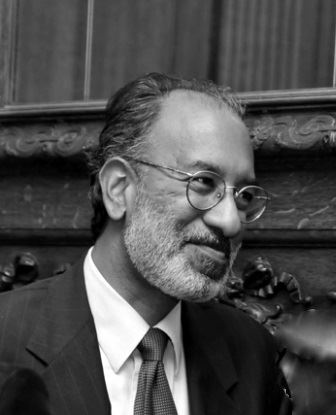 He has taught at Columbia University’s International Center for Cooperation and Conflict Resolution and is also a Distinguished Visiting Professor at Pace University and an honorary faculty of dispute resolution for the University of Granada School of Law, in Granada Spain. Mr. Barkat’s research area has focused on negotiating intractable conflicts. He has also been appointed as a fellow of the American Bar Foundation.